The Chess Open Santisimo Cristo de Candas is set to take place from September 2 to 10 in Candas, Spain. 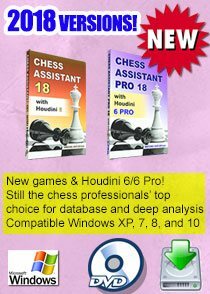 There are 93 players registered for the tournament with GM Salvador Del Rio De Angelis, who recently shared the first place at the very strong Isthmia Open in Greece, being the top seed, according to www.chessdom.com. 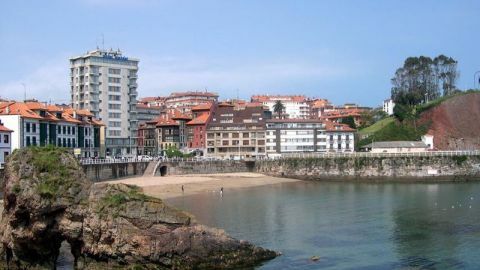 Candás is one of 12 parishes (administrative divisions) in Carreño, a municipality within the province and autonomous community of Asturias, in northern Spain. Surreal chess set made of cork! We found this cool set of photos for - of all things - a chess set made of cork. Wow. Imagine how surreal it would feel to touch those pieces made of cork! Here are the Round 2.1 pairings at the World Cup of Chess currently on in Khanty Mansiysk. 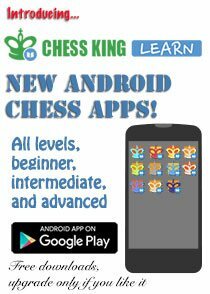 We are down to 64 players and the chess games are sure to be brilliant at the event - as in the first round. Don't forget to follow the super action in High Definition at the official website. 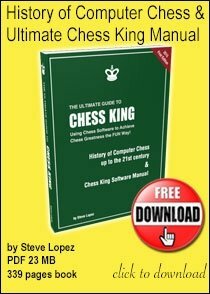 Tuesday Chess Test: What should White play? Okay no straining you after the chess at the World Cup of Chess. Here is a simple chess position for you to study. What should White play? Look closely, the answer will strike you soon enough. Enjoy. Leko explains his break from chess! 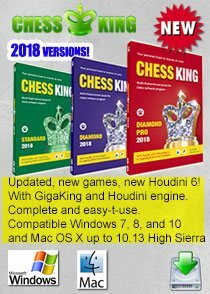 While we are on the subject of Peter Leko being knocked out from the first round in the World Cup of Chess that just started in Khanty Mansiysk and while we are on the subject of whether you can stay without your regular chess 'fix', here's a nice article from Chess In Translation. It's about Peter Leko explaining his return to chess after a break. The interview came as part of Vladimir Barsky’s fifth round report for the Russia Chess Federation website. At the time Hungary had recovered from a slow start to post a remarkable sequence of three wins over Azerbaijan, Ukraine and Israel. 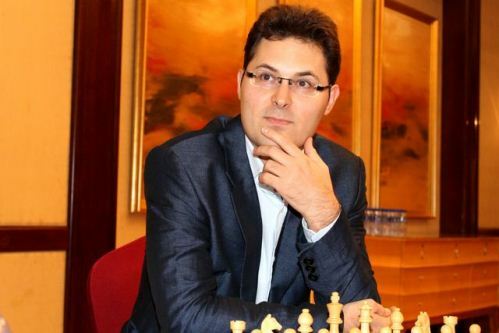 Peter Leko was instrumental, winning his games on top board against the latter two teams (note you can play through all Leko’s games in China in the viewer after the interview). To begin with, why is it so long since we’ve seen Peter Leko in action? I wanted to take a certain break. For the last 10 or even 15 years I’ve been playing non-stop at the very highest level, and after last year’s Dortmund I decided to take a break. True, I still had to play at the Olympiad for the Hungarian team; I didn’t perform very well there, but that no longer had any influence on my decision. You simply wanted to take a rest from chess?Yes, that was the original plan. But after two weeks I sensed I couldn’t get by without chess, it was my life, and I started to work on it. I decided that I wouldn’t play before the World Team Championship, and it was very pleasant simply to work while not experiencing the continual stress of knowing that tomorrow you’re again playing against Anand, Kramnik, Aronian or Carlsen, and you’ve got nothing in the opening!… Simply to work on chess and not think about what to play tomorrow. Of course, it was very hard in the first round here. It’s even hard just now! My head isn’t yet working automatically. After a 9-month break it’s not so easy. You can play training games at home but that’s completely different – you don’t feel as though a real battle’s going on. US Chess Trust Question of the Month: Is There Such A Thing As A Chess Player’s High? 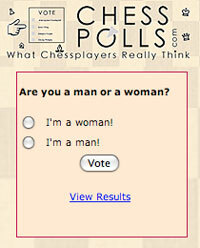 This is a very interesting question we chanced upon at the website of the US Chess Trust. A very apt video goes along with the question. So, what do you think? We’ve all heard of the “runner’s high”, which occurs when endorphins are activated by strenuous exercise. Does something similar happen to chess players? We've all reported feeling the “itch” to play. Are we unknowingly craving a release of endorphins? We all have experienced that “Aha” moment, when a difficult problem becomes clear. The solving of a thorny puzzle has always given me a feeling of satisfaction. Is that feeling endorphin related, or is it something else? Runners speak of a sense of unease when they can’t get in their regular run. We all know chess players who get antsy, if they can’t get a game. Is basic brain chemistry responsible for those feelings? You can post your answers here or at the USChessTrust link. The 2011 FIDE World Cup is a 128-player knock-out taking place August 27-September 20 in Khanty-Mansiysk, Siberia. The tournament delivers three participants for the next Candidates tournament/matches, as part of the new World Championship cycle. Except for the final, all rounds have 2-game matches at the FIDE time control: 90 minutes for 40 moves followed by 30 minutes to finish the game, with a 30-second increment from the first move. In case of a 1-1 tie, on the third day of the round a tie-break with four rapid games and if necessary blitz games and an Armageddon. Find the complete pairings graphical representation at this link. You can access the official website at this link. See the full list of the Round 1.1 and Round 1.2 game results at this link. We will have the final list of players for Round 2 after the tiebreaks. Here are some nice games from Round 1.2. A chess tournament in Dubai, nuclear threats, thieving gigs and more - that's the plot of Leverage series episode 10 - The Queen's Gambit Job. Leverage is an American television drama series on TNT produced by director/executive producer Dean Devlin's production company Electric Television.Leverage follows a five-person team: a thief, a grifter, a hacker and a retrieval specialist, headed up by former insurance investigator Nathan Ford, who use their skills to right corporate and governmental injustices inflicted on ordinary citizens. Here is the promo of the episode 10 that was aired on August 25, 2011. Monday Chess Puzzle: Can White get out of the perpetual check? Can White get out of the perpetual here and actually win this game? This is the big comeback news for 2011. Congratulations to former British Chess Champion and and Olympiad gold medalist Matthew Sadler for winning the 13th Sants Chess Open in Barcelona on Sunday with a score of 8.5/10. This was his first long Swiss event in more than a decade! The English grandmaster defeated top seed Jan Smeets in the final round to finish half a point ahead of Eduardo Iturrizaga, Aramis Alvarez Pedraza, Marc Narciso Dublan and Hector Delgado Ramos. Sadler also recently won his other classical chess tournament since 1999 - the Haarlem Weekender in July 2010. This year he had also won that jointly with Dutch GM Erik van den Doel. The 13th Sants Open took place August 19-28 in the Auditorium of the Civic Centre in the Sants neighbourhood in south Barcelona, Spain. Sants used to be an industrial town on the plain bordering Barcelona, known as Santa Maria de Sants; nowadays it belongs to the district of Sants-Montjuïc. The tournament was a 10-round Swiss with a record 659 participants. They were divided over two groups, the strongest being for players rated 2000 and higher. The top group had 29 GMs and 45 IMs fighting for a 2,500 Euro first prize. The FIDE rate of play was applied: 90 minutes for 40 moves plus 30 minutes to finish the game, with 30 seconds increment from move 1. 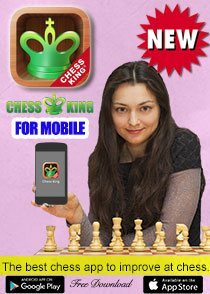 You can read this very nice report in English at www.chessvibes.com plus the official website in Spanish at this link. The World Cup of Chess 2011 is off to a rocking start in the Ugra region of Khanty-Mansiysk. If you haven't seen it, you must not miss it now: The awesome HD live coverage of the event at the official website. Follow the live computer game analysis at this link. For now, here are the first round results and some nice decisive first round games. You will need a couple of hours to go through them but worth the investment. Have a great chessy start to the week. 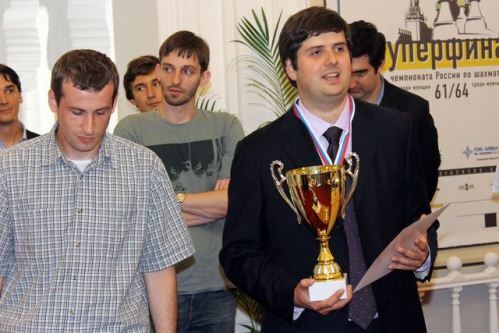 After Peter Svidler won the 2011 Russian Championship he gave a long interview to Vladimir Barsky for the Russian Chess Federation website. Barsky had been with Svidler at the World Team Championship in Ningbo, China, so had witnessed the dramatic change of fortune between the two events first-hand. Here is an excerpt from the the English translation. 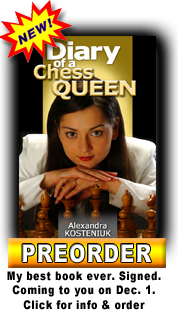 You can read the full interview at ChessInTranslation. It seems you’ve already won the Russian Championship by every possible system?Yes. 1994 and 1995 (Swiss tournaments), 1997 (knockout), 1998 (Swiss[Vladimir Barsky notes Svidler was second on tiebreakers]), 2003 (Swiss), 2008 (a round robin with 12 players), and this one. Which victory was dearest to you, the most memorable? Probably the first and the last. Well, the first for obvious reasons, and this one – because in the last few years… I can’t say I haven’t demonstrated anything good at all, but a success like this one that you can point your finger at and say – look at that! – there haven’t been any of those. The victory in Gibraltar was good, there was a mass of good chess players and I scored quite a lot of points, but nevertheless it was an open tournament. Therefore this was a very important victory and I’m very glad about it. You played a very interesting, fighting game against Grischuk. You’ve worked closely which each other and recently you were together at the Candidates Matches. What’s it like to play someone you know that well? Sanya [a short form of Alexander in Russian] and I haven’t simply worked together a lot – we’ve got a very good relationship. He’s an extremely interesting chess player and one who’s very interesting to play against. Therefore if it was possible to find so Therefore if it was possible to find something to play that we hadn’t looked at together… The main problem was that there were some regions of opening theory which it would be uncomfortable for him to play against me, or me against him, as we’d built up a certain baggage of common analysis. As for simply playing against Sanya – it’s interesting and a pleasure because you’ve got a strong and unconventional chess player sitting opposite you. If you’re talking about the goals I set myself before the tournament then I wanted to stretch myself as much as possible, to play every game at some sort of limit. From that point of view any game against Grischuk is interesting for me as I rate him very, very highly as a chess player. When I’m in a normal condition and not getting beaten around in every game then I relish the chance to play against strong players. Go on read further here.